John Muench's career spans four decades as a painter and printmaker. 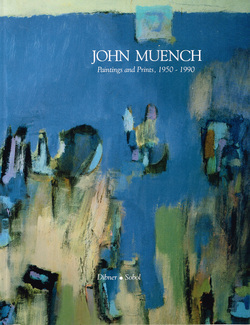 Best known for his splendid landscape paintings and lithographs, John Muench also has produced a stunning variety of work in several different media: acrylic, mixed media, watercolor, aquatint, and wash. Many of his paintings and prints are collected here for the first time. North Country Press is proud to offer the only collection of his work in print. "He is the consummate artist, a painter as well as printmaker--he takes the world of lithography and makes it one to live with and enjoy."